Perched on a semicircle of fjords, Oslo is the picturesque and vibrant capital of Norway. 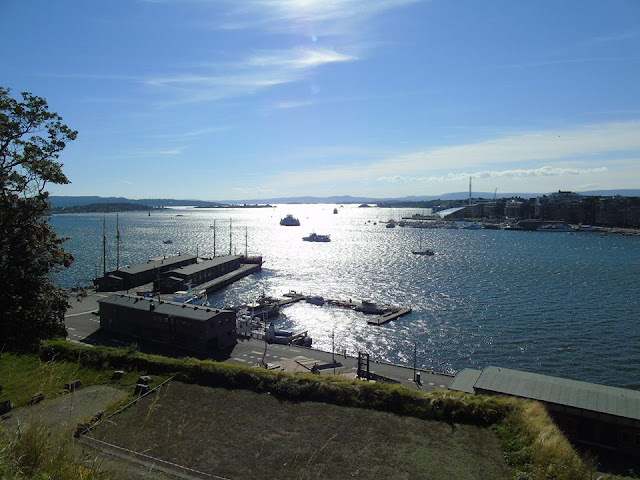 Oslo is known for its Viking history, modern architecture and outdoor activities it is hardly surprising that Oslo was consistently voted one of the highest ranked large European cities for quality of life of its residents. 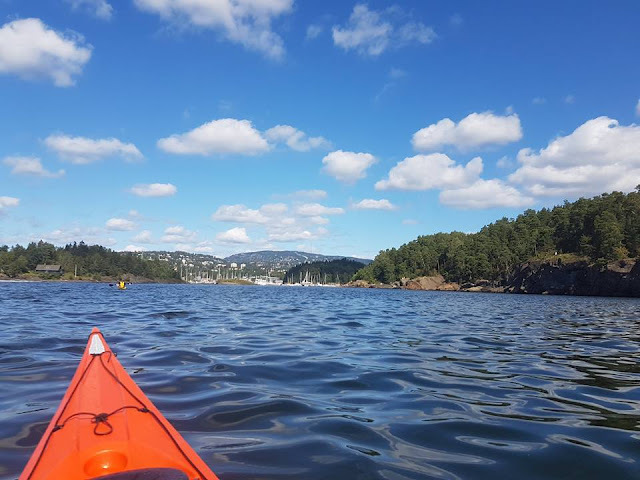 If you're planning a trip to Oslo, then the following tips will make sure it is especially memorable for you. With a commanding position on a cliff in the harbour, the Akershus castle has stood in place since the 1300's, later becoming fortified in 1592. Open between 6am and 9pm each day, entrance is free to the fortress to walk around the grounds and admire the views. If you are so inclined you can sit with your legs over the edge of the fortress and admire the view across the fjords. 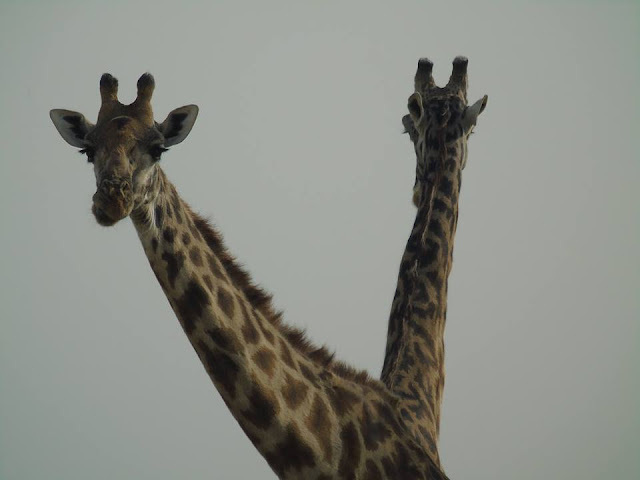 My Travelling Buddy was happy to do this but my cowardice for heights is well documented (among our other travel fails!) so I chose to stick to the lower, less perilous, path. 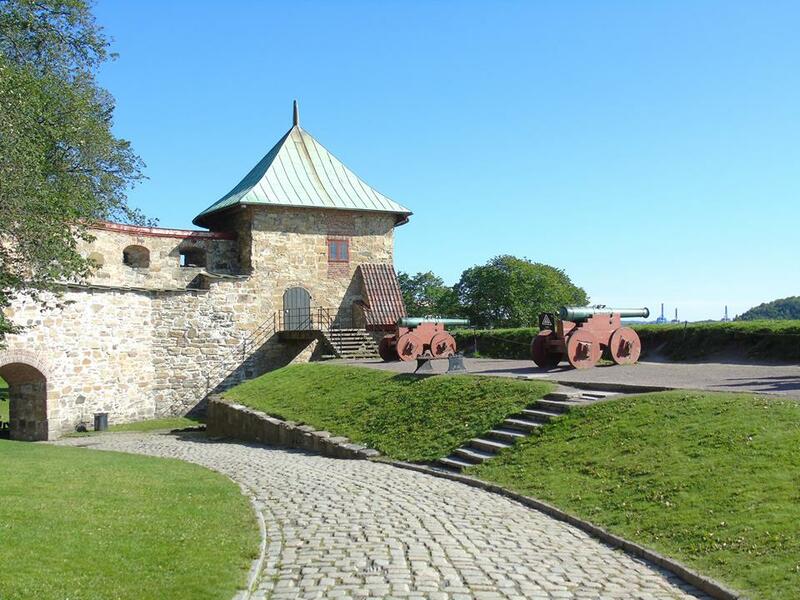 Entrance to Akershus Castle is charged at 100 NOK per adult and 40 NOK per child with concessions available. 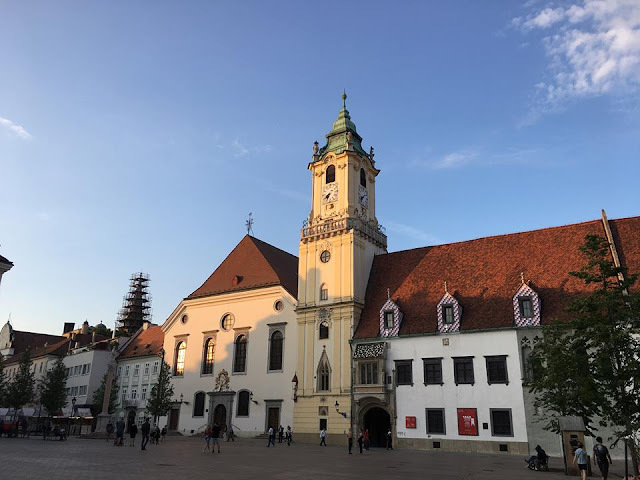 We took the self guided tour around the inside of the Castle that has served as a Royal residence, prison and government offices and was thoroughly enjoyable. A hidden gem within Akershus fortress is the Resistance Museum.Opening hours for the Resistance Museum vary and so it would be worth your time checking before your visit, but for 60 NOK per adult, 30 NOK per child, you have access to a myriad of exhibits outlining Norway's reaction to being occupied during the Second World War between 1940 - 1945. The Norwegian Campaign (9-10 April 1940) ended in Norway's occupation by Germany. The Museum tells the story of Norway's valiant efforts to resist the Nazi occupation for the next 5 years. Exhibits include first hand accounts, models, artefacts and posters. The result is an incredibly poignant museum outlining the human cost of war and the resilience of those caught up in the machine. It is worth noting that many of the museum's exhibits are narrated in Norwegian, so remember to pick up the handy guide at the entrance in your own language to navigate the museum. Norway is well known for its Viking history and a short ferry trip across the fjords will drop you at an Bygdoy, an island covered in museums. 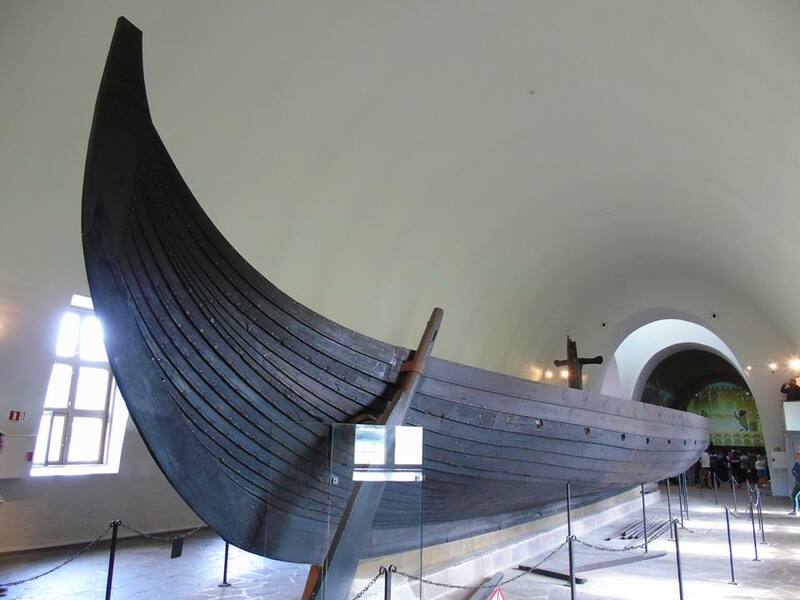 Our personal favourite was the Viking Ship Museum. I could wax lyrical about how magical this museum is all day, and it was one of the stars of our weekend in Oslo. Two other museums that are worth the trip to Museum island are the Kon-Tiki Museum and the Fram Museum. The Kon-Tiki Museum's opening hours are seasonally dependent so check before you travel. Admission prices are 120 NOK per adult and 50 NOK per child. 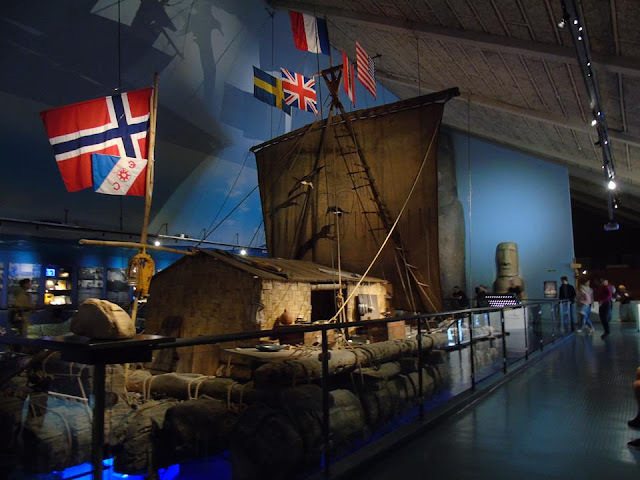 The Kon-Tiki museum charts the epic adventures of Thor Heyerdahl, one of Norway's most famous explorers (after the Vikings themselves!) 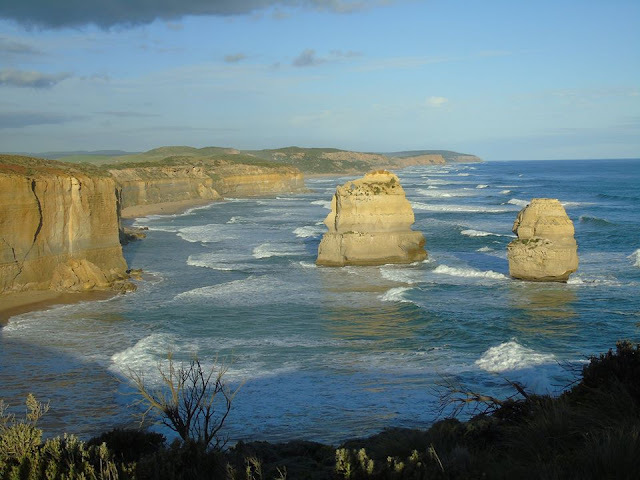 and his 1947 trip across the Pacific Ocean on the balsawood raft- the Kon-Tiki. The Kon-Tiki raft itself is now proudly displayed in this fascinating museum. If you're looking for real wanderlust inspiration, this is the place for you! The Fram Museum houses the Polar Exploration Vessel- the Fram. Opening times vary depending on the time of year and admission is 120 NOK per adult or 50 NOK for children. 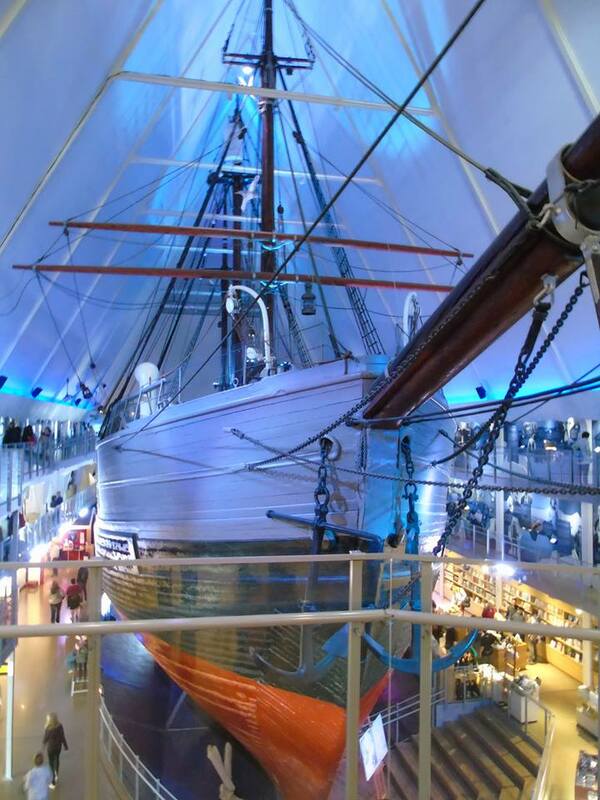 This super cool museum allows you to climb about the Fram itself in its dry dock and explore the ship itself. Bear in mind that anyone over 5 foot will need to duck to get through the doorways, but the mild concussion was absolutely worth it to see first hand the conditions that could be expected on board by the intrepid adventurers conquering the polar environment. If you are going to visit numerous museums then it is worth considering buying an Oslo Pass which will allow you free entry to many of the museums, discounts in restaurants and also covers some public transport. No trip to Oslo would be complete without experiencing the fjords. Plenty of companies run fjord tours for any length of time that you fancy, some including meals or drinks, and can be a full day event. We opted for a slighty more "hands on" approach - kayaking! For something a little bit different, kayaking around the Oslo fjords is an excellent half day trip. 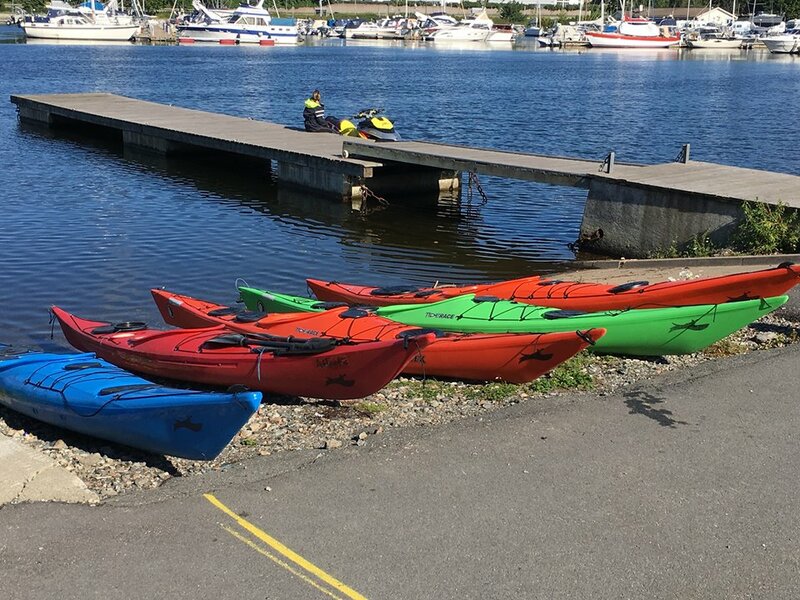 If you are considering it, bear in mind that fjords are not as warm as they look and there is not guarantee that you will end the trip in the same state that you started (dry!). But for these sorts of views, we decided to risk an undignified change of clothes in the car park of a marina. 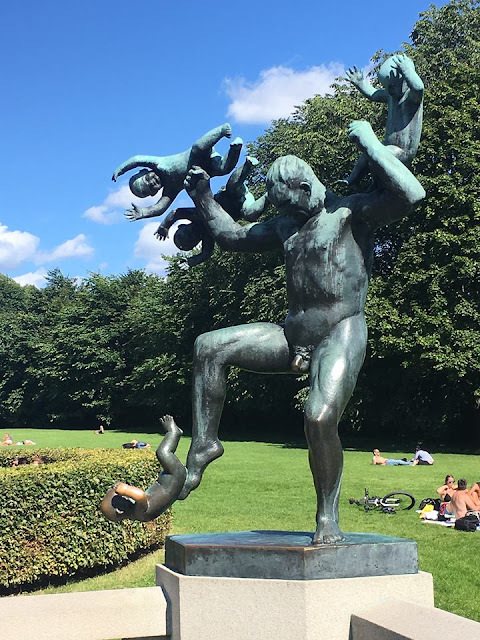 Oslo is host to the worlds largest sculpture park where the art is all created by one artist. 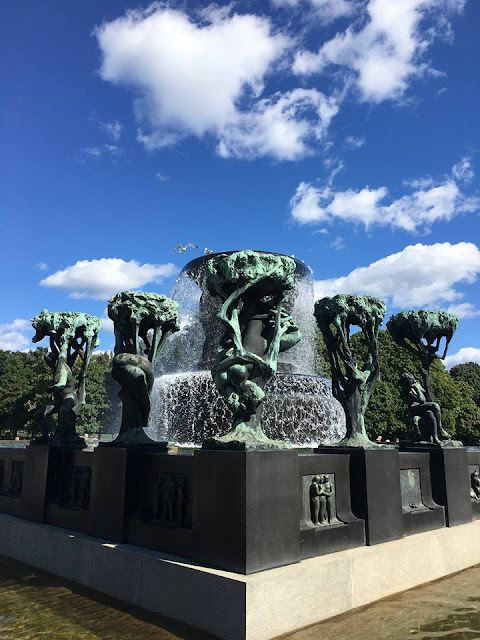 212 of Gustav Vigeland's sculptures stand in this public space which is open, with free admission, all year long. Over a million people are enticed to witness this incredible artistic expression for themselves every year. If the weather is nice then this is a perfect spot to avoid the expensive cafes and restaurants in Oslo and settle down with a picnic! We have lovingly renamed this piece "Parenting 101"
Oslo is an incredible city - it's safe to say that it's not just the Norwegian Blue Parrots that are pining for the fjords. Norway is on our bucket list for a long time! We really want to visit Oslo :D And also go further north to admire the beautiful northern lights! Oslo is very much on our future travels list ! It looks so beautiful in the sunshine here! Your photos are lovely. I'm obsessed with nordic cultures and dream of going to Oslo. The kayaking looks right up my alley. It seems there is the perfect mix of outdoor culture and city exploration.